Defend your mars base and defeat the enemy ships while your people try to escape Don't shoot on your own ships [blue] and avoid enemy hits. Good Luck! This game is a shooting game and your objective is to shoot and destroy all the enemy ship the more you hits the higher your score and you have to avoid shooting your friend ship the blue one. If you want to play Alien Attack games online you have come to the right place! 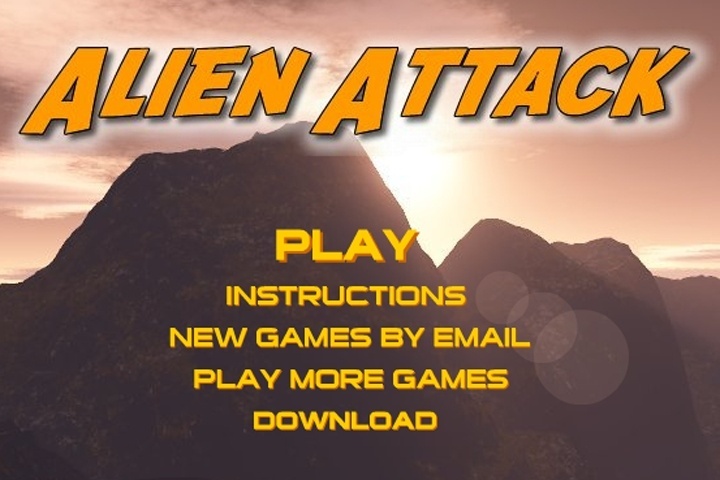 GamesLoon adds new Alien Attack games every week. This is your game portal where you can find the biggest collection of free Alien Attack games online. Do not forget to rate our Alien Attack free online games while playing!